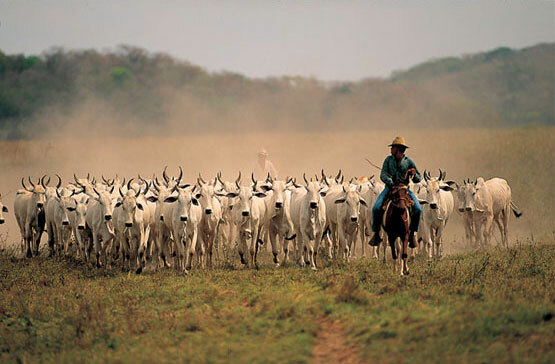 Despite accounting for approximately 28% of Colombia's land mass, Los Llanos (The Plains) are largely uninhabited when compared to many other parts of the country. 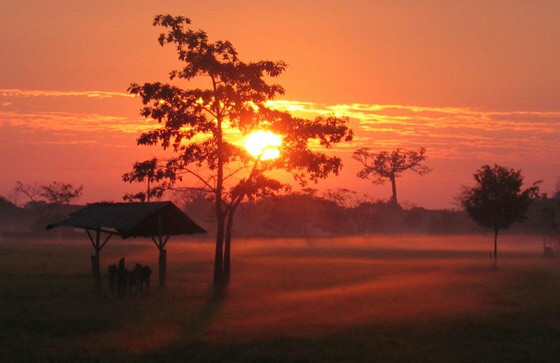 The Plains, also known as the Orinoco Region, are formed by four large departments in the east of Colombia; Arauca, Casanare, Meta and Vichada, although the plains stretch far beyond the border into Venezuela. As the area is flat and low lying, its temperature is consistantly hot and enjoys relatively clear skies year round. Also, since views are generally unobstructed, spectacular sunsets can often be observed. 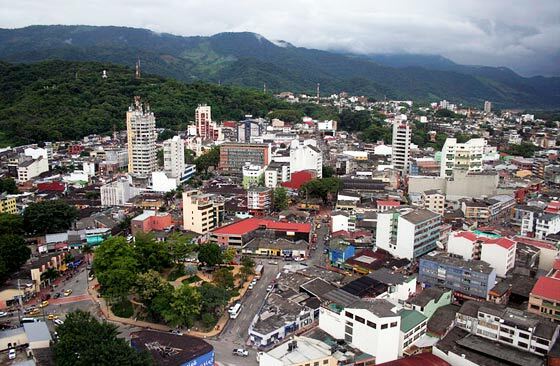 Villavicencio (known locally and in the capital Bogota as 'Villavo') is the capital city of the department of Meta and is the gateway to Los Llanos. The Plains are situated a couple of hours heading down off the mountains south of Bogota. On the way to Villavicencio you pass through a long tunnel which has significantly shortened the journey time. It is one of Colombia's less interesting cities, but the department of Meta's real treats lie far from Villavicencio's hot city streets. About 90km from Villavicencio is the small town of Puerto Lopez. This town is known as the 'Ombligo de Colombia' (belly button of Colombia) as it is located exactly at the country's centre. From Puerto Lopez it's possible to find local guides to organise trips along the rivers or longer excursions into the plains. The same is true of Puerto Gaitan, a further 110km east of Puerto Lopez. It's possible to see Los Llanos as a day trip from Bogota, but it would probably be a bit rushed, so if possible try to spend a night or two. Camping is a great idea if you can find someone with a tent. This region of Colombia is home to a beautiful type of music called Joropo, also referred to as 'musica llanera' (plains music). It uses the harp and is widely listened to in this part of Colombia. The Torneo Internacional de Joropo is a festival that takes place every year in Villavicencio and features live performances of Joropo music and dance. Joropo is said to be one of the most difficult styles of music to dance to in Colombia on account of the speed of its steps and movements. Watching it danced by the locals is quite an impressive sight! The most typical dish of the region is called Mamona. 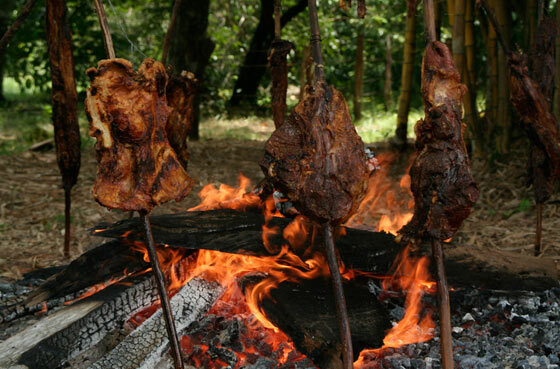 It is a veal stake, condimented, pierced on large wooden skewers and then barbequed.